The latest hierology is hitting the big screen in November, director James Marsh’s The Theory of Everything. Based on the trailer, the film sets out to tell the “love story” between world-renowned astrophysicist Stephen Hawking and his (first) wife, Jane Wilde. Nevermind that Wilde and Hawking divorced in 1995, after years of what she has called absolute “misery” (but which had little to do with his motor neuron disease ). The same year they were divorced, moreover, Hawking married one of his nurses, Elaine Mason, whom he also later divorced in 2006. Upon watching the trailer, however, one of course only sees Hawking’s nobler traits. At least that is how the narrative unfolds. This reminds me of George Levine’s fascinating book, Dying to Know: Scientific Epistemology and Narrative in Victorian England (2002). In this book Levine examines the narratives underlying Victorian scientific epistemology, which he locates in themes of self-sacrifice, self-denial, self-effacement, self-abnegation—in other words, in dying to self. “There is something in our culture,” he writes,” that drives it to find things out, even at the risk of life.” This is the central metaphor underlying Western culture’s quest for truth as well as the underlying narrative of scientific epistemology. The narrative of renunciation is found, for example, in Francis Bacon and Rene Descartes; in the dying-to-know narrative of Thomas Carlyle, which he seems to have derived from Goethe and a “rigid Calvinism”; in John Stuart Mill, Charles Darwin, John Tyndall, Thomas Henry Huxley, Anthony Trollope, and Francis Galton, among others; and finally in the autobiographical texts of Mary Somerville, Harriet Martineau, and Beatrice Webb. 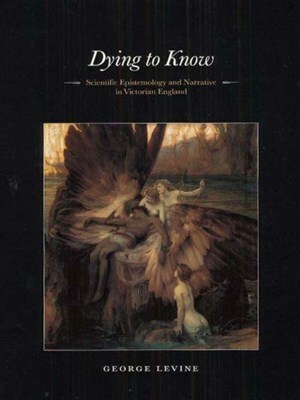 The Victorian narrative of scientific epistemology, much like the one we see in the trailer on Hawking, implies moral rigor: impartiality, patience, self-denial, the rejection of authority for experience, a strong intellectual independence, a willingness to face the facts, no matter how detrimental to tradition—in short, the total surrender of self to the thing being studied. Levine demonstrates that the story of dying-to-know has become the dominant story in our times and that the propagation of that story allows science to displace religion as the ultimate authority for all knowledge. But in an ironic twist, as Steven Shapin has shown in various works, but which Levine only hints at, the narrative of scientific epistemology is undeniably intertwined with the religious—and particularly the Christian—ideal of self-renunciation: “If any man will come after me, let him deny himself, and take up his cross daily, and follow me” (Luke 9.23). The intellectual history of the eighteenth century, including the history of eighteenth-century science, used to be summed up in the term “Enlightenment.” However, as we have seen, no one has been able to define the term with any precision; nevertheless, most historians continue to use it to identify a set of opinions that characterized the century. In The Ferment of Knowledge: Studies in the Historiography of Eighteenth-Century Science (1980), edited by G. S. Rousseau and Roy Porter, the term scarcely makes an appearance. This is deliberate. The editors and authors of this collection of essays believe that historiography of science of the eighteenth century has been utterly changed by the advent of “contextual” scholarship in a number of disparate disciplines, from the history of ideas, mythology, new approaches within Marxism and French structuralism, techniques of historians of art, religion, philosophy, and ideology, to the seminal writings of anthropologists and psychologists and others. The last generation has wrought a revolution in the history of science…Certainties have given way to questions. The history of science is no longer a scientist’s hymn to science: it has become part of history itself…The development of science can no longer be served up as the sure tread towards truth. But exactly how it should be viewed is a question on which no consensus is in sight…This revolution is, of course, very familiar. Its relevance here is that this profound change in the orientation—one riddled with methodological anxieties—has as yet done little for the eighteenth century. …we now take it as axiomatic—and correctly—that eighteenth-century science can be properly grasped only if its “external” relations to other intellectual and cultural systems, such as theology and epistemology, are tackled head-on…It seems elementary to us (now!) that eighteenth-century scientific ideas cannot adequately be translated one-to-one into twentieth-century terminology. Indeed, one of the aims of this book is precisely to distil and evaluate this substantial body of empirical research that has been conducted in the last generation. To achieve its ends, the editors have compiled a series of twelve essays by twelve knowledgeable authors. Of all the contributions in this volume, Steven Shapin’s “Social Uses of Science” is perhaps the most provocative and stimulating contribution. In several articles Margaret Jacob sets out to develop a connection between Newtonian natural philosophy and Low Church politics. Shapin positively evaluates M. Jacob’s view that “conceptions of nature are tools, instruments which historical actors in contingent settings pick up and deploy in order to further a variety of interests, social as well as technical.” According to James R. Jacob and Christopher Hill, “natural philosophy in the late seventeenth and early eighteenth century was powerfully shaped by the social uses of natural knowledge during Civil War, Interregnum, and Restoration” periods. First, it is to be noted that philosophies of nature were routinely seen by the actors as imbued with social meaning. This is not because of “mere” metaphorical glossing, but because in these (and later) cultural contexts nature and society were deemed to be elements in one interacting network of significances…Second, groups with conflicting social interests developed and sustained interestingly different natural philosophies; moreover, these philosophies were often produced explicitly to combat and refute those of rival groups. Third, the distribution of attributes between “matter” and “spirit” was an issue of intense concern in all these philosophies; the relations between the two entities seemed to be something upon which all cosmologies “had to” decide, and the boundaries between “matter” and “spirit” were treated as having particularly strong social significance. 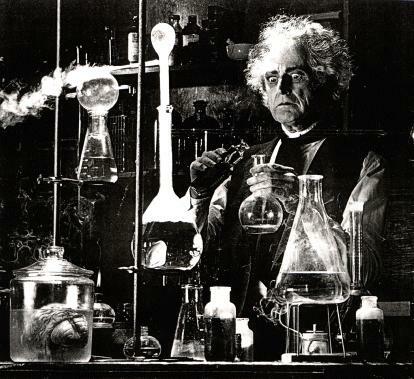 What images do we have of the man of science? Historian and sociologist of science Steven Shapin is one of the leading practitioners of constructivist historiography. Constructivitism assumes that scientific knowledge is locally created, produced, and situated. The local in scientific knowledge and the processes by which it becomes universally accepted are the two central issues in constructivist historiography. Constructivists, moreover, view scientific knowledge not as revealed, but rather as “made” using methods, tools, and materials available in culture. In Constructivism, truth does not figure; perceptions of the strengths and weaknesses of the epistemic foundation of knowledge do. Dominated by local studies, constructivist historiography marginalizes “big picture” studies of universally accepted and acquired scientific knowledge. Shapin, for instance, challenges prevailing traditions about a reigning grand narrative, that of the Scientific Revolution. In anticipating my review of Shapin’s The Scientific Revolution, I want to address some points he makes in another context, in writing about images of the early man of science. In two different places, Shapin identifies these roles as either the university professor or scholar, the medical man, the gentlemen, the courtier, the crown or civil expert, the godly naturalist, or the moral philosopher, among many others. These roles, moreover, are always substantially constituted, sustained, and modified by what members of the culture think is, or should be, characteristic of those who occupy the roles. Thus the very notion of “social role” implicates a set of norms and representations—ideals, prescriptions, expectations, and conventions thought properly, or actually, to belong to someone performing an activity or a certain kind. Such images are part of social realities. The images of the early man of science were very significantly shaped by appreciations of what was involved in the host roles: what sorts of people occupied such roles, with what characteristics and capacities, doing what sorts of things, and acquitting what sorts of recognized social functions, with what sorts of value attached to such functions? What representations were attached to the person of the seventeenth- and eighteenth-century man of science? What virtues, vices, dispositions, and capacities was such a person thought to possess, and in what combinations? Other key figures spent much of their careers as amanuenses, clerks, tutors, or domestic servants of various kinds to members of the gentry and aristocracy. Thomas Hobbes (1588-1679), for example, functioned in a variety of domestic service roles to the Cavendish family for almost the entirety of his adult life, and one of John Locke’s (1632-1704) first positions was a private physician, and later as general secretary, to the Earl of Shaftesbury. Of course, the man of science represented a subset of the early modern learned class. But not all noteworthy early modern men of science were systematically shaped by university training. Among those who did not formally attend university at all were Blaise Pascal (1623-1662), Robert Boyle (1627-1691), and Rene Descartes (1596-1650). For others, university education was part of a background preparation for roles in civic life, and the acquisition of scientific expertise occurred elsewhere. The mathematician Pierre de Fermat (1601-1665) and the astronomer Johnannes Hevelius (1611-1687) studied law at a university; William Gilbert (1544-1603) and mathematician and physicist Isaac Beeckman (1588-1637) studied medicine; and Johnannes Kepler (1571-1630) studied mainly theology. The profession of medicine also joined the pursuit of natural knowledge with recognized and authoritative early modern social roles, and many medical men pursued scientific investigations within the rubric of a professorial role, such as Vesalius (1514-1564) (at Padua) and Marcello Malpighi (1628-1694) (at Bologna). Unlike the role of the university scholar in general, however, the social role of the medical man strongly linked natural knowledge with practical interventions. Moreover, medical roles were centrally concerned with the description, explanation, and management of natural bodies. This naturally gave way toward the study of anatomy and physiology. The participation of medical men was not confined to subjects strictly related to medical practice, however. Physicians such as Gilbert, Nicholaus Steno, and Henry Power studied magnetism, geology, and experimental natural philosophy respectively. John Locke earned a medical degree prior establishing himself as a political philosopher. Nor was substantial interest in medical subjects restricted to those occupying the social role of physician or surgeon: Bacon, Descartes, and Bolye lacked professional qualifications but either theorized on medical subjects or dabbled in medical therapeutics and dietetics. A natural order bearing the sure evidence of divine creation and superintendence was understood to edify those who dedicated themselves to its study. “Godly subject matter made for godly scholars.” This was the major way in which the culture of natural theology sustained an image of the man of science as virtuous beyond the normal run of scholars. And eighteenth-century cultures that were not marked by natural theology borrowed such imagery to produce a man of science as specially or uniquely virtuous. The eloges presented in commemoration of recently deceased members of the Paris Academy of Sciences offer the most highly developed and influential portraits of the virtuous man of science. Composed by Bernard le Bovier de Fontenelle (and his successors Jean-Jacques Dortous de Mairan, Jean-Paul Grandjean de Fouchy, and the Marquis de Condorcet) from 1699 to 1791, these eloges drew upon Stoic and Plutarchan tropes to establish both the special moral qualities possessed by those drawn to science and the additional virtues that a life dedicated to scientific truth encouraged in its devotees. By the 1770s these sentiments were supplemented by Condorcet’s Renaissance-humanist preferences for a life of action and civic benevolence. The man of science, in Condorcet’s image, had the capacity to benefit the public realm both materially and spiritually. The same images of vocation, dedication, and detachment that testified to the virtue of the man of science also constituted a potential handicap to his membership in polite society. Scholars might in many cases be genuinely respected by polite society, but that society importantly distinguished the roles of the gentleman and the professional scholar. Particular targets of criticism were, for example, the scholar’s traditional isolation, his “morose” or “melancholic” complexion, his tendency toward disputation, and his pedantry. On the other hand, the polite classes were widely literate, sometimes well educated, and often disposed to act as patrons to men of science—in the case of the mathematical sciences because of their acknowledged utility to the arts of war, wealth-getting, and political control, and, in the case of other scientific practices, such as astronomy or natural history, because they lent luster to the patron and sparkle to civil conversation. The gentry, aristocracy, and nobility therefore controlled an enormously important pool of resources for supporting the work of men of science. Beginning in the late sixteenth century, Bacon, Descartes, Hobbes, Boyle and others all proposed to remedy scholarly wrangling by arguing for methodological, conceptual, and organizational reforms in natural knowledge that would at once make that knowledge an effective arm of state power and render it a pursuit suitable for civically engaged gentlemen. According to Shapin, “natural knowledge was to be hauled out of the privacy of the traditional scholar’s study—which made science disputatious, wordy, and barren—and into the bright light of real-world phenomena and practical civic concerns.” The reformed man of science was thus called to live vita activa, and science was to be done in public places. This point of living vita activa will have tremendous ramifications for the pursuit of natural knowledge, up to our own day. To some extent, natural knowledge had always had a place in courtly and commercial society, and it continued to enjoy that place through the eighteenth century. Wonder, weapons, gadgets, glory, and natural legitimation had long been socially desirable, and these goods might be supplied at least as visibly and efficiently by eighteenth-century scientific practitioners as by their predecessors. With the advent of the eighteenth century we witness a vast expansion in the numbers of scientifically trained people employed as civic experts in commerce, the military, and the government settings. The character of the man of science as godly naturalist and moral philosopher buckled under the emerging identity of valued civic expert. Throughout eighteenth-century Europe and North America, governments increasingly drew on the services of scientifically skilled people and thus helped to constitute the character of the man of science as civic expert. Examples of civic expertise for hire in the context of trade, war, and imperialism could be multiplied indefinitely in a wide range of scientific disciplines: mathematics, astronomy, geography and cartography, geology and mineralogy, meteorology, medicine, chemistry, and physics. Although the role of the man of science as civic expert was not new in the eighteenth century, the numbers occupying that role were increased concomitantly with the expansion of trade, war, and imperialism. “Everywhere men of science were employed by governments to standardize weights and measures.” Governments became the paymasters for scientific inquiry. A number of examples can be cited. Since the 1960s, many have identified modern universities with radicalism, sexual libertinism, and moral relativism. That is certainly part of the crisis of modern higher education. Less publicly, though, scientific and technical research has been coopted to a remarkable extent by the military-industrial complex. In America alone $277 million of Carnegie Mellon’s $315 2006 research budget came from the federal government, and 23% of that total is from the Department of Defense (DoD). In March, the Air Force granted University of Dayton Research Institute $45 million for research in the “Quick Reaction Evaluation of Materials and Processes Program.” Penn State received $149 million in defense grants in 2003. A 2002 study found that over three hundred colleges and universities engage in Pentagon-funded research, universities receive more than half of the DoD research funds, and over half of the funding for university research in electrical engineering and computer science comes from the DoD. The DoD funds Duke research in mathematics, engineering, and biology. According to the DoD, “expenditures at Duke University increased from $17.7 million in fiscal year 2008 to more than $30 million by 2011.” It is indeed disquieting, but perhaps inevitable, that the DoD holds the purse strings of American higher ed. Although heterogeneous in his social roles, it is undeniable that the man of science was brought into being in a deeply religious context. Today, however, he is largely detached from those presuppositions and motivations that sustained his initial development. Today’s scientists are increasingly becoming the civic experts (servants?) of governments and corporations.